Apart from the energising feeling the sun may have on us, it has another important function. Sunlight is responsible for the production of vitamin D in our skin. Unfortunately, changes in our behaviour and eating habits over time, such as working indoors, commuting by car rather than by foot and fast food, nutritionally deficient diets, has meant that we’re not getting enough vitamin D. And this can be compounded by where we live. In fact a recent study reported that vitamin D deficiency is common in Australia, affecting nearly one-third of adults aged ≥25 years (link). It seems that the efficiency of their programme to reduce skin damage and skin cancer has had a negative effect on vitamin D production. Most know that vitamin D is really important for bone health, but more recently wider roles of vitamin D have been described, including its importance in muscle development, growth and performance and repair (further reading available here). The prevalence of vitamin D deficiency has been reported in various patient groups, including those who are rehabilitating and it’s not surprising, therefore that vitamin D-deficient individuals show poor muscle performance. Indeed, severe deficiency is often associated with non-specific muscle aches and pains. Would exposure to the sun, therefore, remedy these strength deficits? It’s difficult to definitively tell and a complex issue that requires well-controlled scientific studies to answer this question. What has been shown is the correction of vitamin D deficiency by supplementation (often by high dose tablets taken in conjunction with calcium) has been shown to reduce the risk of falling in frail individuals and increase muscle performance. Indeed, I reported on some exciting new research in sports performance that shows the potential for vitamin D may have in reducing the symptoms of muscle soreness (DOMS) following high-intensity exercise (full paper here). Furthermore, there are lots of reports (of varying quality, might I add) of the benefits of vitamin D on elite performance. This research is still in its infancy, but it’s mounting. From a rehabilitation and conditioning perspective, for me, there’s the opportunity to research the effects of correction of vitamin D deficiency to see whether or not this has an accelerated effect on improving muscle function. Maybe that osteoarthritic patient who’s struggling with pain and poor muscle function might benefit from a period of strength training alongside vitamin D supplementation. Form a performance and injury repair perspective, it seems as though improvements are observed when deficiency is corrected. 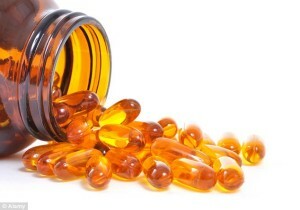 Despite the large volume of research into the consequences of deficiency, what constitutes deficient vitamin D levels is debated. We’ll save the lengthy debate for another time. Measured by circulating serum concentrations of vitamin D (25(OH)D), much of the literature, however,reports 25(OH)D levels of 50 –75 nmol/L (20–30 ng/mL) as ‘insufficient’and levels <50 nmol/L (20 ng/mL) as ‘deficient’ Get Back To Sport run courses for personal trainers and fitness professionals on how to train clients with impairments – see here for details.